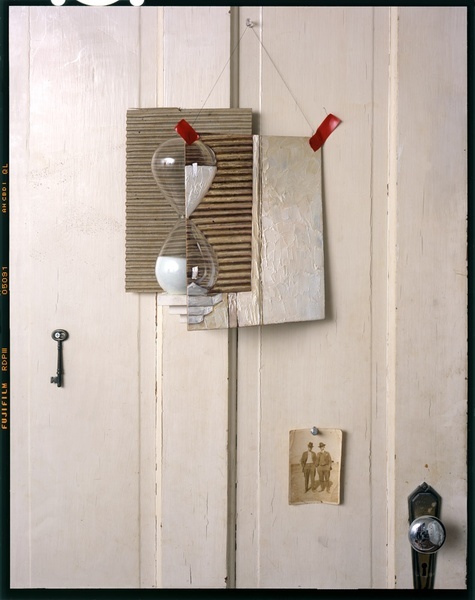 In his Studio Physics series, photographer and scientist John Chervinsky captures the passage of time in his carefully composed still lifes. After assembling his scene, Chervinsky makes a photograph that he then crops and sends to a painting factory in China where it is reproduced with an artist's brush. During the time it takes for the painting to be made and shipped, the initial still life sits and ages, allowing for the display of the passage of time when the painting is incorporated into the still life and rephotographed. The resulting images are a spellbinding combination of photography and painting, the past and the present, the seen and the unseen. Our exhibition featuring work by Julie Blackmon and John Chervinsky closes on September 15th, but before it does we are happy to be able to share with you another statement from Chervinsky on the creation of one of his photographs. Until recently, I’ve attempted to express visually, a fairly impersonal trajectory of the passage of time. Even as much as I’ve included motifs commonly used in Vanitas paintings, I don’t necessarily expect the viewer to get an emotional charge as they contemplate the state of decay of my subjects. In fact, much of the symbolism that I typically include comes from a worldview based on reason. For example, I have very strong associations with objects like keys, locks, doors and so forth. Scientific research is just that: solving a puzzle, unlocking a mystery, opening the door to knowledge. Earlier this year, and as I was working on the beginning stages of Hourglass, Painting on Door, 2012, my mother became very ill. She actually passed away as the right side of the hourglass was being painted, across the globe in China. After several weeks, I finally felt like working again, and began with the final assembly. I didn’t set out to create the image because I happened to be going through a personal crisis, but its final realization was certainly affected by it. I decided to add an anonymous vintage photograph. I thought that it might be an interesting idea to get a viewer to not only to think about time and its physical manifestation (as expressed by the lock, the key and the physical act of the falling sand), but also place an emphasis in human terms. 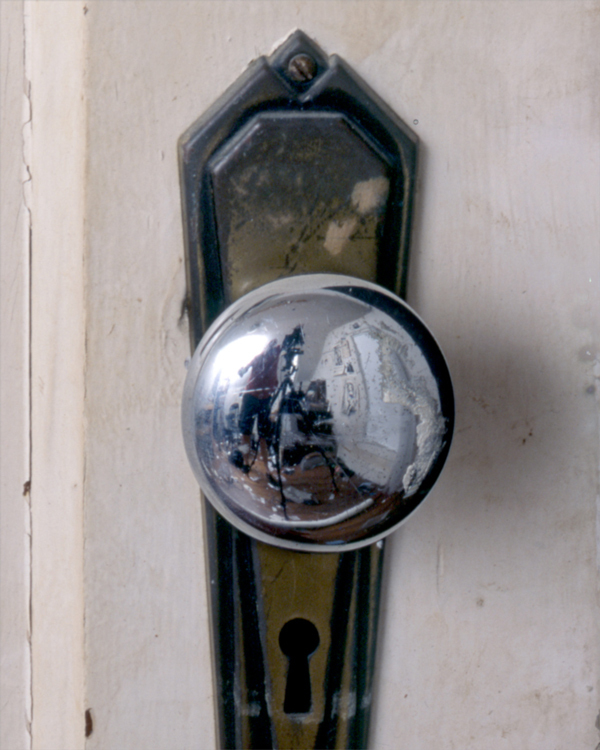 Does the symbolic aspect of the hourglass, combined with the mysterious photograph and even my own reflection in the doorknob, locked in time by the strobe, move you to think about the sadness of time slipping away? It did for me, when I tripped the shutter. I believe that there is fertile ground to sow by running a humanistic narrative, in counterpoint to an indifferent, yet seemingly infinite universe. I don’t yet know how this may manifest itself in future work, but I’m excited to try.